Check out Tobi's First Love Velvet Hoodie Suit up for track season with the Black & Red First Love Velvet Hoodie. 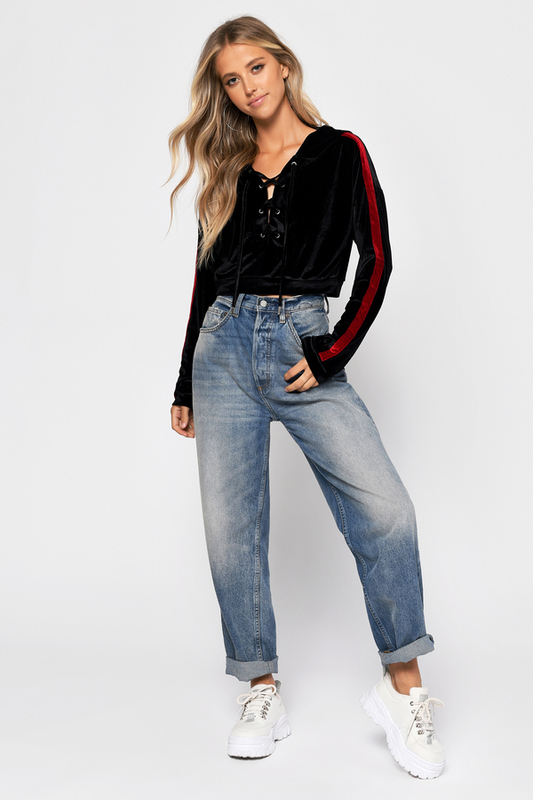 In lush velvet with a contrast stripe down the sleeves, this sporty hoodie has been given an update with a cropped cut and lace up ties at the v neck. Pair this hooded crop top with the matching velvet joggers for Sunday fundays. Suit up for track season with the Black & Red First Love Velvet Hoodie. 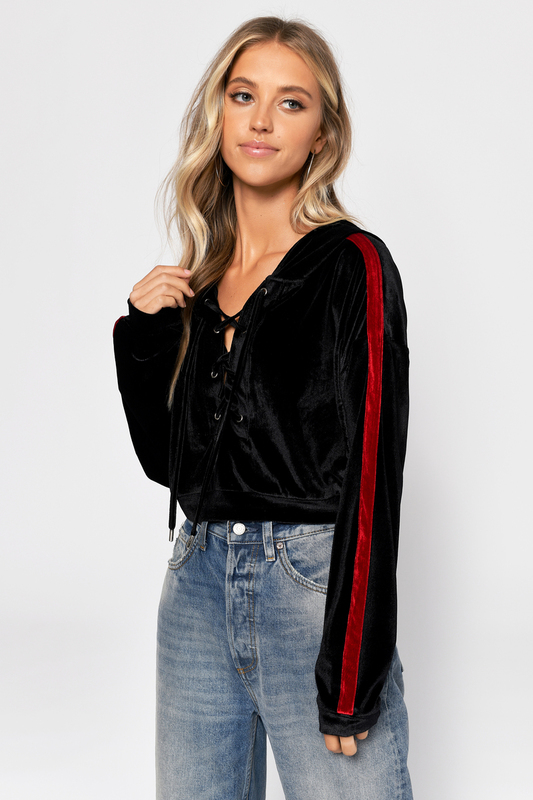 In lush velvet with a contrast stripe down the sleeves, this sporty hoodie has been given an update with a cropped cut and lace up ties at the v neck. Pair this hooded crop top with the matching velvet joggers for Sunday fundays.